Welcome to the Germantown Legends Recreational Soccer Program Section webpage. Here you can find an overview to each of our recreational soccer programs. All teams, unless otherwise stated, are coached by volunteers. For those interested in becoming a volunteer coach, please CLICK HERE. Each of these programs follows recommend guidelines put forth by both U.S. Soccer and U.S. Youth Soccer. If there are any questions, please do not hesitate to send us an email. The HappyFeet League is played on Saturday mornings (one day per week commitment). The HappyFeet program is seven weeks long beginning in September (in the Fall) and March (in the Spring). The kids are grouped with their friends in teams of similar ages from the same school. This is the perfect way to make team play great fun and introduce kids to organized team sports. They have a blast because they’re familiar with their HappyFeet coach, the HappyFeet approach and their friends from school! CLICK HERE to visit the Memphis HappyFeet website. Our Under 6 "3 vs 3" program introduces players to the basic triangle shape, and starts teaching them basic ball mastery skills. The emphasis is on learning and fun while working with the ball. Players in the program practice one day per week, with games on Saturday mornings at Cloyes Soccer Park. We have a mandatory playing time rule in the recreational program, so players have plenty of opportunities to get touches on the ball. The Under 5 and Under 6 programs are 11-weeks long with practices beginning in August (in the Fall) and late February (in the Spring). Players receive free skills sessions each week, practices, games and participation award at the conclusion of the season. Both the U5 and U6 divisions are coed. U5 and U6 teams practice one day per week. Practices are held each week during the season on Monday, Tuesday and Thursday at the Cloyes Soccer Fields. Provided your child is registered before late registration has started, parents may chose the day of the week for practice. Games are held primarily on Saturdays at the Cloyes Soccer Fields. As recognized by US Youth Soccer and the Tennessee State Soccer Association, this is a Division 4 recreational soccer program. Your player is sure to develop skills while having fun creating friendships, exercising, and developing confidence this season! Our Under 8 "4 vs 4" program, players take their understanding of soccer triangles and grow it into a diamond shape. Germantown Legends Soccer believes that the game is the best teacher - players develop their skills by playing. We have a mandatory playing time rule in the recreational program so players have plenty of opportunities to get touches on the ball, take shots and of course, celebrate their GOALS! Players receive free skills sessions each week, practices, games and participation award at the conclusion of the season. The program is 11 weeks long, beginning in August (in the Fall) and late February (in the Spring). U7 and U8 teams practice one day per week. Practices are held each week during the season on Monday, Tuesday and Thursday at the Cloyes Soccer Fields. Provided your child is registered before late registration has started, parents may chose the day of the week for practice. As recognized by US Youth Soccer, this is a recreational soccer (Division 4) program. While continuing to play and practice with their Future Legends (Recreational) team, the Skills Club provides additional training sessions throughout the season with the Legends experienced and fully licensed coaching staff. Skills Club players will focus on the individual skills needed to take their game to another level while continuing to make soccer even more enjoyable to play. The Skills Club serves as a prerequisite to the FUTURE LEGENDS ADVANCED REC or ACADEMY TEAMS. The Academy provides recreational players who have aspirations of becoming a more accomplished player an avenue to test and enhance his or her skills before moving on to the next level of play. This program is also FREE to those currently on our Advanced Rec or Competitive teams. For more information, visit the Future Legends Skill Club pages. This program may not exist each season, as it depends on the skill level or development of the players available. For the young player wanting an extra challenge, there is the ADVANCED REC Soccer Program (previously called the Academy Team). Advanced Rec players will train up to twice per week with Legends expert professional staff. Games will be played in a 6v6 and a 4v4 'Festival' style formats. Advanced Rec Team members will also have access to other Legends programs for 'FREE'. While the U7 Advanced Rec teams will play in the U8 Future Legends Division (playing 4v4); the U8 Advanced Rec and U9 Advanced Rec teams will 'play up' in the U10 Future Legends Division playing 6v6). Players are selected via tryouts. 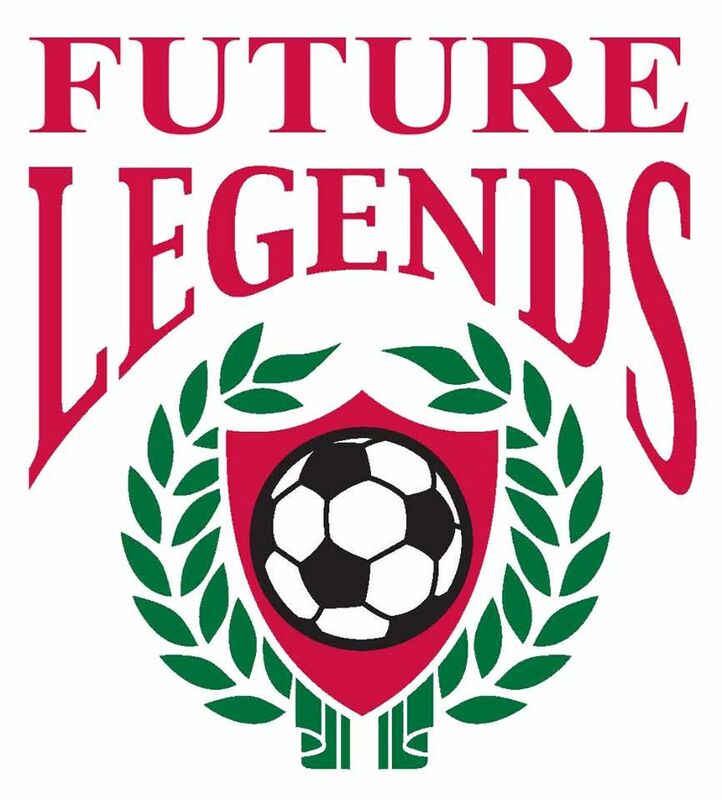 It is recommended that all Academy players have participated in at least one season with the Future Legends Skills Club. For more information, visit the Future Legends Advanced Rec pages. When players graduate from intramural play (U5- U8), the next program progression is Under 10 (including U9), which is played "6 vs 6". Our program includes the goalkeeper role in the game and extends the shape to multiple triangles. Players will continue to develop their ball mastery and basic tactical concepts. We have a mandatory playing time rule in the recreational program so players have plenty of opportunities to get touches on the ball. This age group have a 11-week season, generally with one game per weekend and two practices per week (once with volunteer coach and once with Legends staff). Practices begin August (in the Fall) and late February (in the Spring). The U10 age group may practice up to twice per week. The Legends staff hosts a weekly training session for the U10 age group each Wednesday night at the Cloyes Soccer Fields Park during the season. And, the second session is held at the Germantown Soccerplex on the night chosen by the volunteer coach. Games are held primarily on Saturdays at the Germantown Soccerplex. Players receive free skills sessions each week, practices, games and participation award at the conclusion of the season. As our players move on, the next program progression is Under 12 (including the U11 player), which is played "8 vs 8". Our program gets players ready for the big field at U13 but still have the smaller field to maximize touches on the ball. Players will continue to develop their ball mastery and basic tactical concepts. We have a mandatory playing time rule in the recreational program so players have plenty of opportunities to get touches on the ball. This age group have a 11-week season, generally with one game per weekend with one practice per week. Practices begin August (in the Fall) and late February (in the Spring). Players receive one weekly practice, games and participation award at the conclusion of the season. A continuation from our U12 program, but the game is now played on a full size field with "11 vs 11" or "7 vs. 7". Our program continues players to learn the game and to maximize touches on the ball. Players will continue to develop their ball mastery and basic tactical concepts. We have a mandatory playing time rule in the recreational program so players have plenty of opportunities to get touches on the ball. This age group have a 11-week season, generally with one game per weekend with one practice during the week. Practices begin August (in the Fall) and in late February (in the Spring). The program is played on a full size field with "11 vs 11". Our program promotes players to enjoy the game. Players will continue to develop their ball mastery and basic tactical concepts. This age group have a 11-week season, generally with one game per weekend with one practice during the week.